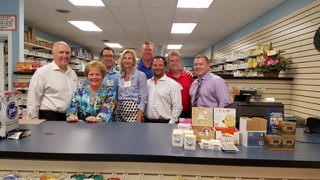 Thank you, Mark from Premier Pharmacy for a great Round Table last week. 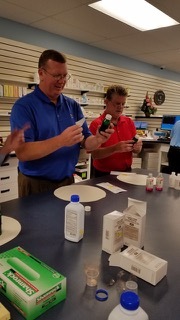 We had a great experience and learned so much about Premier Pharmacy, the drug industry, and how they can help you. Some take aways in managing expectations is first and for most, do not make assumptions. Make sure you have clear communications and expectations. Jot down a list of issues so that for next time, they will be covered. And last but not least, make it easier on yourself, hire a Project Manager to free up your time and limit your frustrations. *Note to self* People do what you inspect; not what you expect! Please remember to see how you can help Mark and please make sure you schedule time with each other if you don’t know enough about the folks you hung out with at the Roundtable. This entry was posted on August 29, 2016, 1:17 pm and is filed under BCA News. You can follow any responses to this entry through RSS 2.0. You can leave a response, or trackback from your own site.